Hamilton Beach Stand AND Hand Mixer Giveaways!! Well, isn’t this exciting! Two giveaways rolled into one! 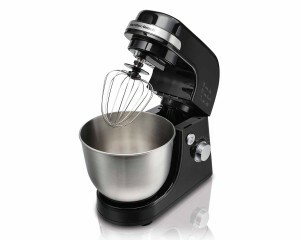 Thanks to Hamilton Beach, I’m giving away this great stand mixer (see pic!) AND this awesome hand mixer! I love both of these products so much! They’re easy to use and get the job done better than ever! The stand mixer is SO light, and the hand mixer is speedy and easy to store. You will automatically be entered to win either prize. All you have to do is comment below, telling me what you’ll make with either mixer. To earn an additional entry, share this giveaway on Facebook and leave the link to it in a separate comment. Giveaway ends on Friday, January 29th at 5pm EST. US residents only. Thanks again, Hamilton Beach, and good luck to all! 56 Responses to Hamilton Beach Stand AND Hand Mixer Giveaways!! I make so many cookies and never owned a stand mixer, I would love one! I’d put the dough hook to use and make pizza! Royal icing. I’m obsessed with decorating sugar cookies lately! I would make chocolate chip cookies which would be especially good for a snowy day! Love to bake, especially cookies!!! Would love one (or both!) Of these!!! I make cookies, muffins and cakes often. This would make it so much easier! I love making cookies with my mixer! I would make your awesome smoked Gouda cheese balls! I would make cookie dough!!! I would make mashed potatoes and cookies galore! I would make dairy and egg free brownies…this would be perfect to mix in the ingredients!! I would make mint chocolate chip cookies! Cookies and cake for sure. Chocolate chip cookies and brownies! I would love to try new recipes with my daughter.. She loves to bake.. I will make my sour cream coffee cake with walnut and brown sugar topping..
My granddaughter and I would probably make a chocolate cake! I’d make delicious chocolate chip cookies with the stand mixer! Honestly, I’d probably start with shredding a bunch of chicken with the stand mixer. It’s supposed to be so much easier! I’d use the fool out of both of them, my family rarely eats out, so my kitchen is constantly hopping. The first thing I would make is dough. Hand kneading is too labor intensive, so using dough hooks would motivate me to make breads more often because of how much easier it is. I would make carrot cupcakes. I want to make homemade cookies and pie crusts! Oh I would love to make Gluten Free Banana Bread! My favorite! I would go crazy making cookies! I have no idea what I would want to cook first but I would let my daughters do the deciding! 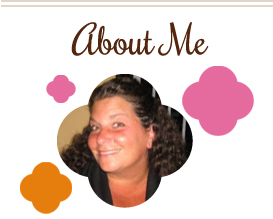 I’d love to use the stand mixer to make carrot cake with cream cheese frosting! I love to make flavored whipped cream so this would make things so much easier! I would also use it for omelettes , baking, so my kids would have something every day when they got home from school, and somebody other recipes . It’s the perfect size for my very small kitchen.